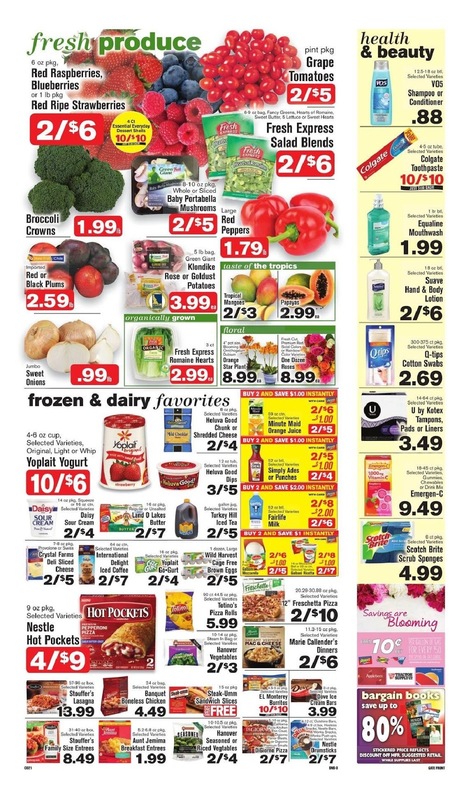 Looking for Shop n Save Specials for this week? 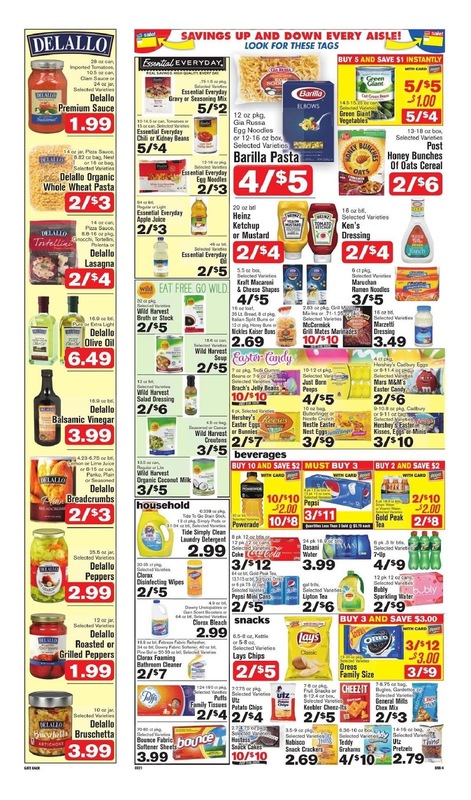 Check out here the latest ⭐ Shop n Save Ad 4/4/19 - 4/10/19 and save more money. 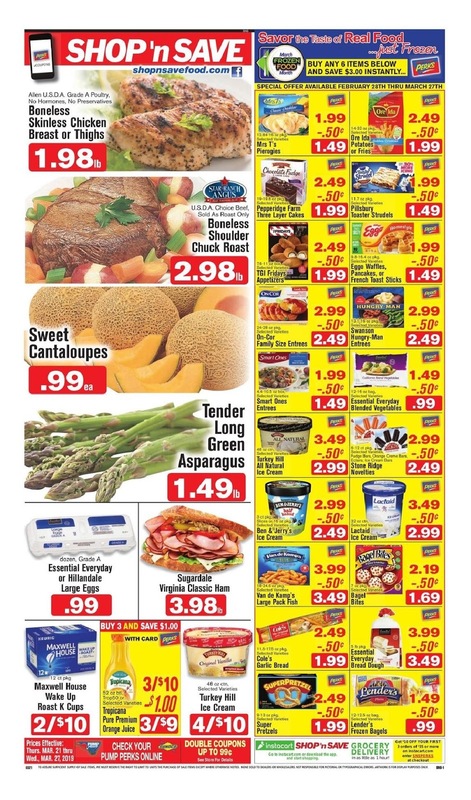 With the ✅ Shop n Save Weekly Ad April 4 - 10, 2019 you'll find many items with special prices such as Turkey Hill Ice Cream, Jif Peanut Butter, United Dairy Milk, Tender Long Green Asparagus, Banquet Boneless Chicken, and much more. SHOP 'n SAVE is a locally owned and operated grocery store chain with locations in Pennsylvania, New York, Ohio, Maryland and West Virginia. Shop n Save has several ways to save more, including weekly ads, eCoupons, Pick 5, and so much more. For more savings, find the special deals like BOGO (Buy One Get One Free), Mix or Match, and more. 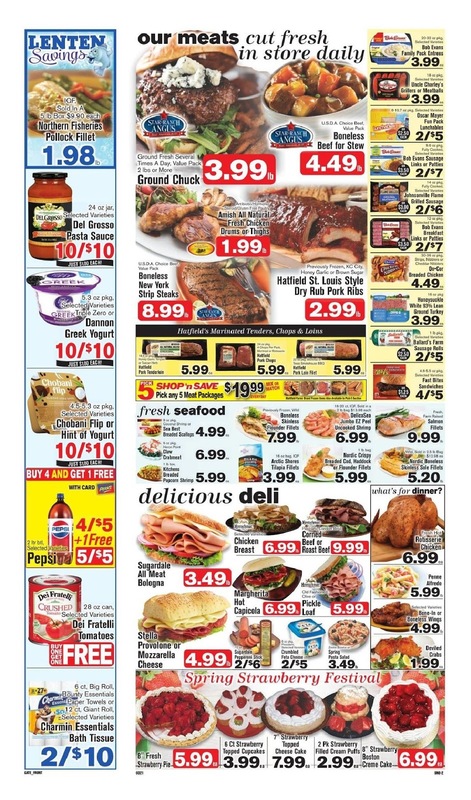 Shop n Save Ad this week is available in Benzonia MI, Ludington, Bridgeview IL, Murrysville PA, Pittsburgh, Chicago and other locations. Ads and prices my vary by region, you can view all locations at the official site.